Horizontal bars, various colors including frames with blue green and magenta bars, and. frames with wide green bars and narrow red bars. Vertical stripes appear to generated by pixelation. 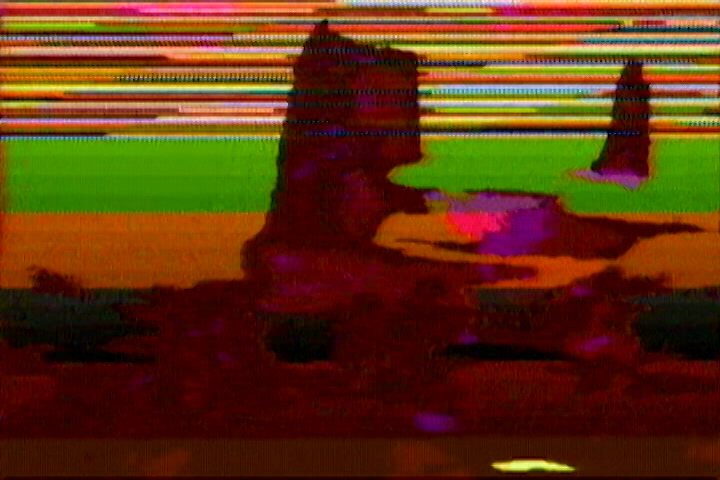 About 10 sec into the clip the pixelation disappears and we get contouring that appears to run through the shapes. The dominant colors are magenta and gold with some red and green thrown in . 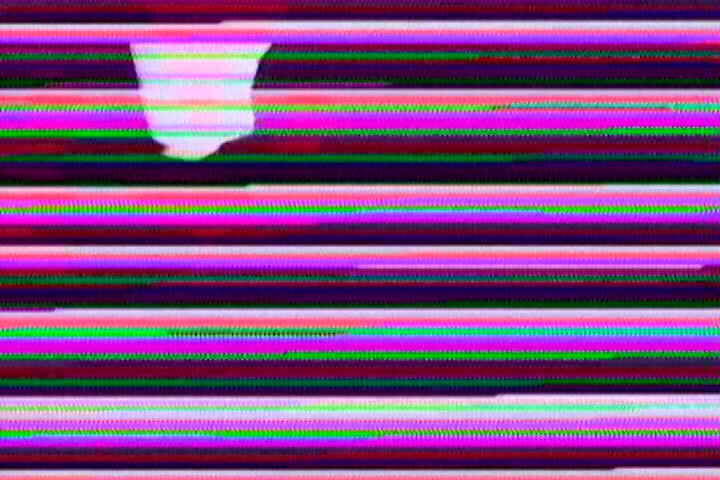 At 40 sec the pitches rise and the bars become narrower, until at 60 sec the oscillators are stuttering and the image is broken into areas of thin stripes. The oscillators start to jump, the bars respond. 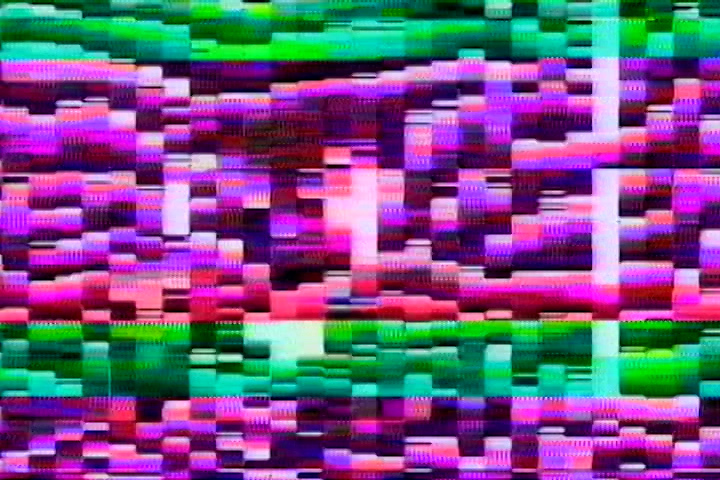 A pulse enters, the stutters continue, and the image changes in sync with the sound. 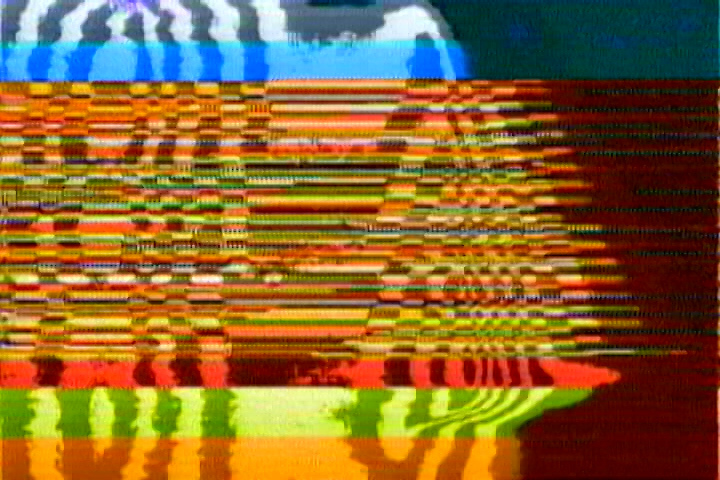 The sound becomes more chaotic, the image responds . This intensifies until the end of the clip. 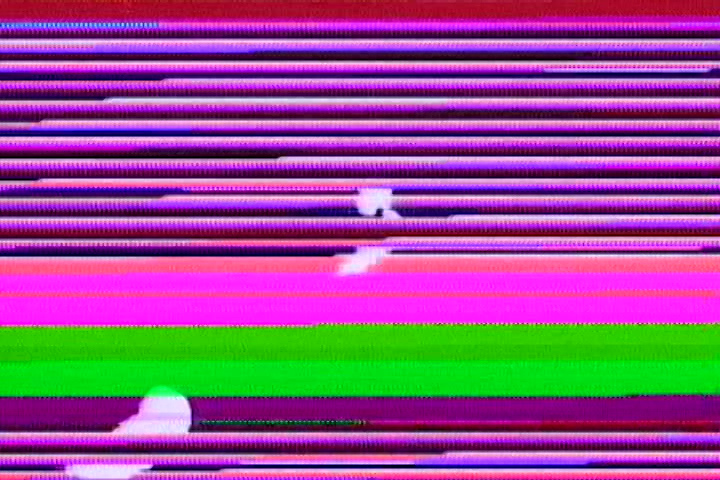 At times the sound “glitches”  or tears the image. 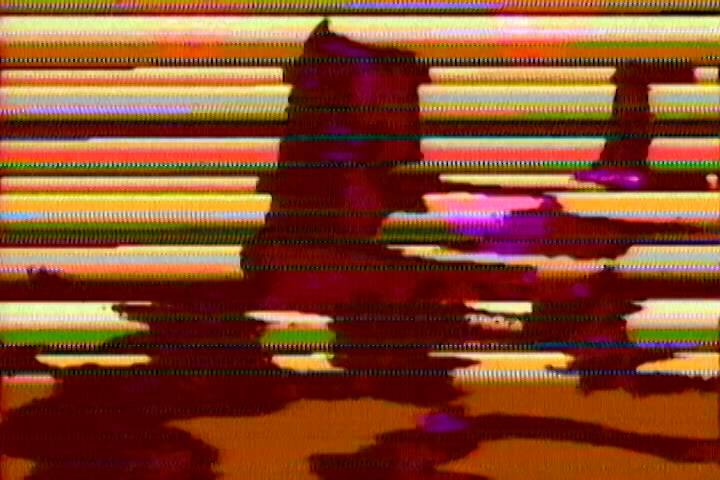 Going frame by frame through the last 10 sec of the clip reveals a series of very different images . None of this chaos shows up in the thumbnails above. The general outline is there; in the beginning the switch from pixelation to contouring, and the narrowing of the bars as the clip progresses. However, you have to watch the clip in real-time to see, hear, and feel the dynamics. It is, after all, a moving image. I’m using audio oscillators with a range of 15 Hz – 20K Hz. These oscillators produce horizontal bars, the lower the pitch the wider the bar, the higher the narrower. At the top of the range the bars appear as single lines. The pixelation and contouring are effects produced by the Jone’s MVIP. 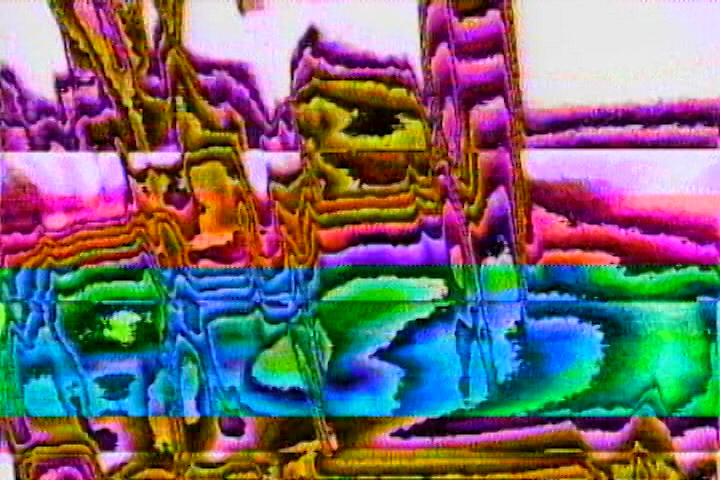 As the control signals speed up, the sound and the image begin to change in response, and become more chaotic. 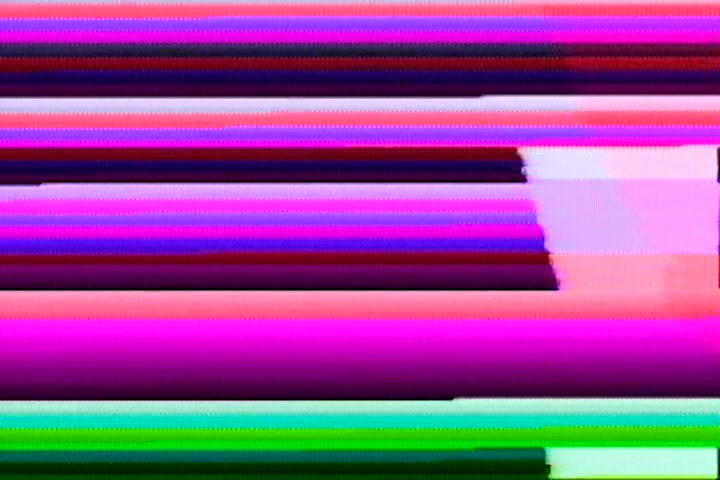 Glitch refers a short-term or transient fault or error in a system. 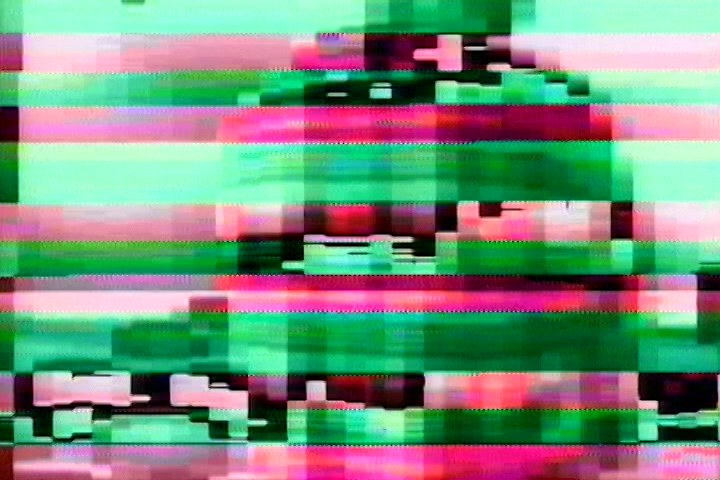 A video glitch is a transient break in the signal or tear in the image. It is produced in this clip using pulse waves as control signals to quickly switch the narrow bars and the MVIP effects on and off. 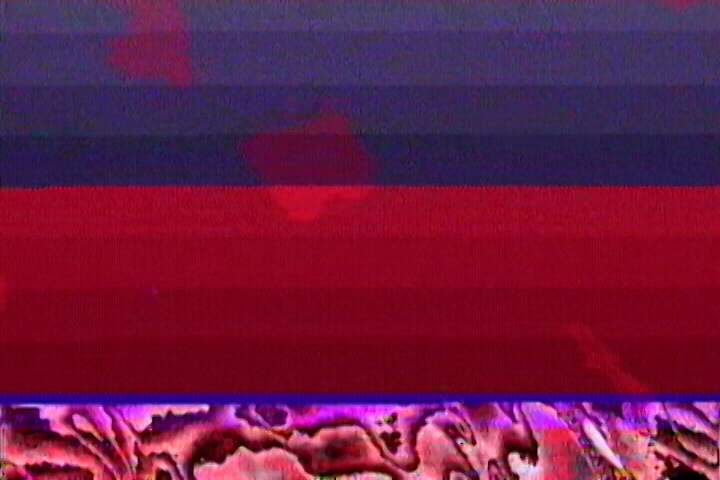 The result of switching these effects on and off on or near the Vertical Sync rate produces this series of very different images, one after the other. “Persistence of vision” knits the images together, the result is that we don’t see the individual frames (or fields) but perceive instead a mix.